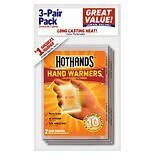 Keep your hands toasty warm with reusable hand warmers. 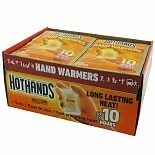 Whether you are spending the day out on the ski slopes or on the ice rink, your pocket hand warmers help your hands stay warm even in the coldest of temperatures. 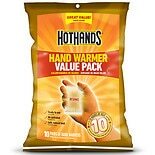 Mini reusable hand warmers fit well even in the most snug of gloves. 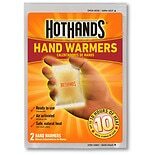 They also stay warm for up to 18 hours. Your feet and the rest of your body need not be left out in the cold. 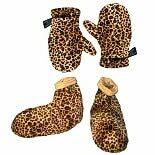 Slip foot warmers into your shoes to relieve cold feet. 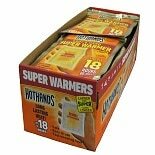 Body warmers are portable, disposable, and environmentally-friendly. They are easily activated by air and do not require wires or batteries. 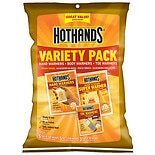 They are also nontoxic, odorless and nonflammable, so you can feel safe using them. 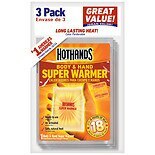 By using hand warmers and foot warmers, you can enjoy the outdoors longer, whether that means hunting, fishing, jogging or simply enjoying a football game as a spectator.